These guidelines have been implemented to ensure that every BSC player plays within a safe environment during the season. BSC will always monitor the forecast, temperature with wind-chill factor, field conditions and driving conditions when making any cancellations due to inclement weather. Our club will always make a decision we feel is in the best interest of the safety of all players, parents and coaches. 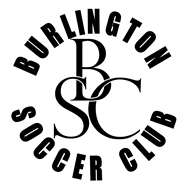 BSC players should arrive at training and match play with proper attire including warmups, hats, and/or gloves. Limit the amount of cotton you wear, as it has a tendency to retain moisture. If the wind chill temperature falls below 20 degrees Fahrenheit, all outdoor team training sessions will be canceled for Youth Academy - U18 age groups. If the National Weather Service issues a Wind Chill Advisory, outdoor team training sessions will be limited to no more than 45 minutes (matches can be a day-of decision). If the National Weather Service issues a Wind Chill Warning, all outdoor team training sessions will be canceled for Youth Academy - U18 age groups. If we encounter any type of precipitation along with cold temperatures, we will consider canceling all outdoor activity in a timely manner. BSC will follow guidelines similar to those put in place by the National Weather Service pertaining to outdoor activity in severe warm weather. If the Heat Index is greater than 110 degrees Fahrenheit, all outdoor team training sessions will be canceled. BSC will follow the guidelines put in place by NCYSA in the all of 2014. Please click here to review this policy, and contact BSC should you have any questions.